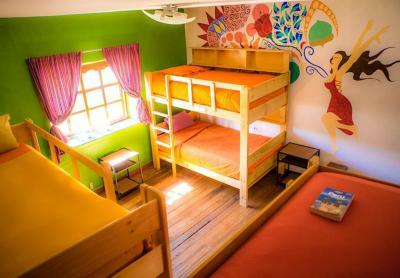 Lock in a great price for Dragonfly Hostels Cusco – rated 8.5 by recent guests! The staff service was excellent, they tried to help us with any doubt that we had. Booked a private room for myself as i need more space and privacy. Great location, near to the heart of cusco town area. Accessible by walking everywhere. Room is big and comfortable. A queen size bed and 1 single bed. Had a pleasent stay. The common area is colourful and interactive. Overall i like my stay here. The staff friendly and professional. An amazing clean hostel. Breakfast each morning was excellent. Staff at the desk were always friendly and informative, and the bar staff ready to recommend a number of attractions, restaurants, and nightclubs in the area. The staff was great and one of the reasons that I stayed at this place so long. Shoutout to Pepe for being awesome. The location is perfect and the courtyard is lovely. Flavia was helpful and the food was great. It was a perfect place to adjust to the altitude. Excellent staff and cleanliness of rooms and bathrooms. The staff was great! Very friendly and helpful. They have a lot of activities so if you plan to stay longer than a night or two you will be able to take advantage of those. One of our best sellers in Cusco! Featuring a daily complimentary Continental breakfast and conveniently located only a 10-minute drive from the airport, Dragonfly Hostels Cusco offers accommodations with free WiFi access. Rooms all feature modern and colorful decorations. Some are equipped with private bathrooms while others share bathroom facilities. Lockers are available. At Dragonfly Hostels Cusco guests will find a fully-equipped kitchen which guests are welcome to share, a 24-hour front desk, a garden and barbecue facilities. Other facilities offered at the property include a shared lounge, a tour desk and a bar, which brews its own beer. 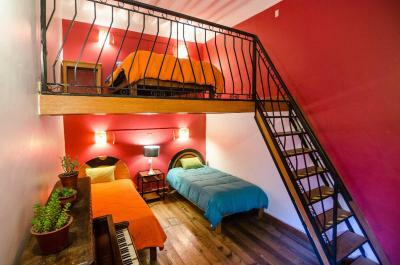 The hostel is ideally located 1,300 feet from the main square of Cusco and 1.1 mi from Wanchaq Train station. Shuttle services can be arranged for an extra fee. 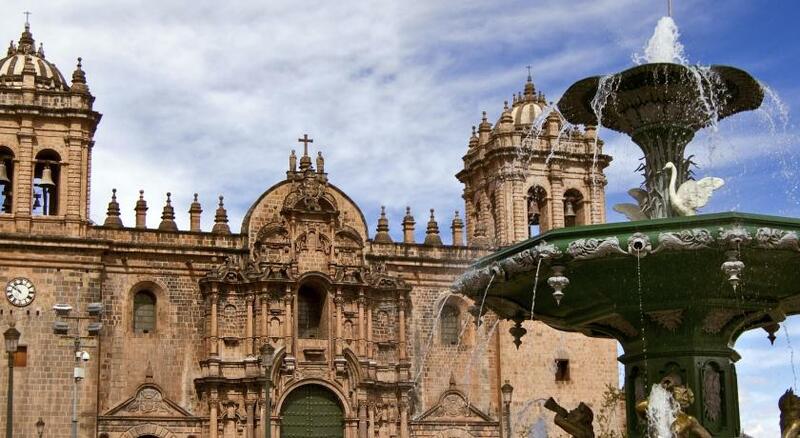 Cusco City Centre is a great choice for travelers interested in food, history and culture. 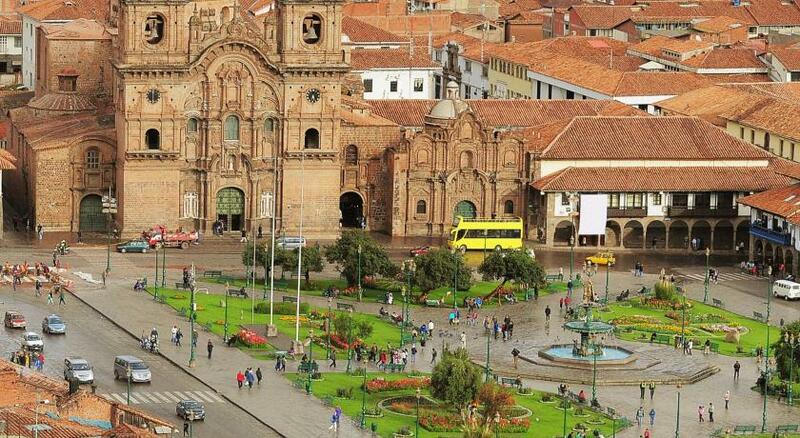 뀐 Located in the real heart of Cusco, this property has an excellent location score of 9.3! 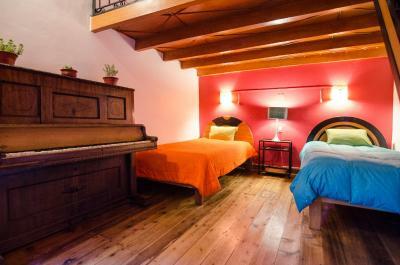 When would you like to stay at Dragonfly Hostels Cusco? House Rules Dragonfly Hostels Cusco takes special requests – add in the next step! Dragonfly Hostels Cusco accepts these cards and reserves the right to temporarily hold an amount prior to arrival. Please note that discounts of ISIC card, Inticard and Cusco Maps are not applicable. Please inform Dragonfly Hostels Cusco of your expected arrival time in advance. You can use the Special Requests box when booking, or contact the property directly using the contact details in your confirmation. An amazing hostel with an amazing stuff! Just we have a trouble in the night when the hostel didn't have water supply, but it was fixed in the morning. Excellent service from staff. Helpful and friendly. Sociable hostel and fun events organised in the evenings. Nice to have quiet rules at night. Great location, lovely helpful staff. Used baggage store while on inca trail which was super helpful. when I stayed the electricity went off at night and didn’t get back until morning so I couldn’t charge my phone and even turn on the light during shower..
super friendly staff, cozy bed and warm rooms. just 5 min walk from plaza de armas. I can store my baggage for tour for free. Dormitory rooms wasn’t that small. The women’s bathroom was out of order on two of the three nights I stayed there. It’s an old building so the plumbing isn’t great. Great staff, they were the highlight for me. Really good breakfast and outdoor common area. A 4 burner hot plate in the kitchen & blender would make it perfect. Best Hostel in Cusco! These guys know how to run it. Showers always have hot water & great water pressure. Beds clean & comfy. Great place to meet travellers, great courtyard for chilling & great value! Don't look anywhere else, DragonFly Cusco is The Best! Showers were not hot, even at 5am. Very helpful staff, great price, cool vibe. The staff was incredibly nice and friendly, the location is great and the place is really well decorated full of a positive vibe!